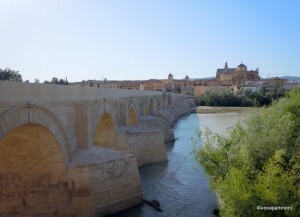 Córdoba is a must see city that can be easily reached from Seville by train, bus or car. It is situated at the highest navigable point of the Rio Guadalquivir, and alongside the main route across the mountains to central Spain. Córdoba first became important under the Romans, whose bridge still remains in use today, and reached its peak between the 8th and 10th centuries under the Moors when it was the capital of most of Spain. 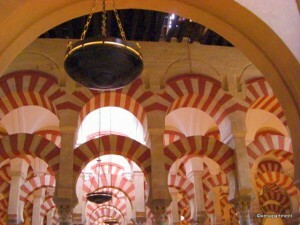 It was in this period that Córdoba’s most famous landmark, the Mezquita, or Great Mosque was constructed. Standing on a low rise above the northern end of the Roman bridge it dominates the skyline and is still the city’s focal point. 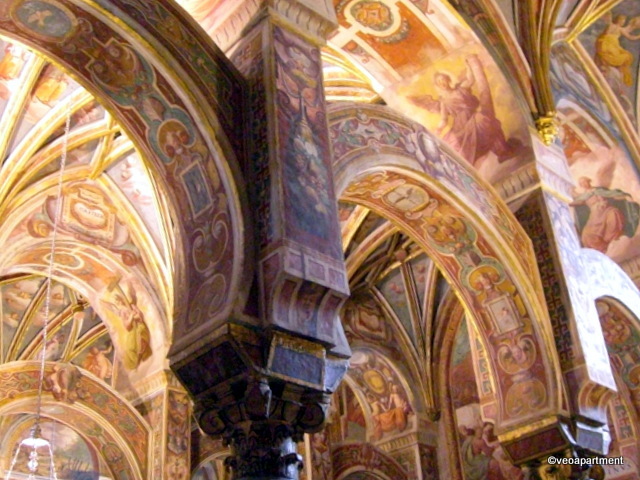 After the Christian conquest it was converted into a cathedral, and a central altarpiece was added. Fortunately, the new rulers chose to preserve the main body of the building, whose double archways on pillars of jasper, onyx, marble and granite, create a stunning visual perspective, and the outer patio with its orange trees. To the west of the Mezquita is the 14th century Alcázar palace and gardens, and a substantial section of the medieval city walls enclosing the old Jewish quarter, a picturesque area of small, winding streets around the Mezquita, where you can also find the 14th century synagogue. Other places of interest include the 16th century Puerta del Puente at the city end of the Roman bridge, the Calahorra Tower across the river, and the early medieval water mill, the Molino de Albolafia. 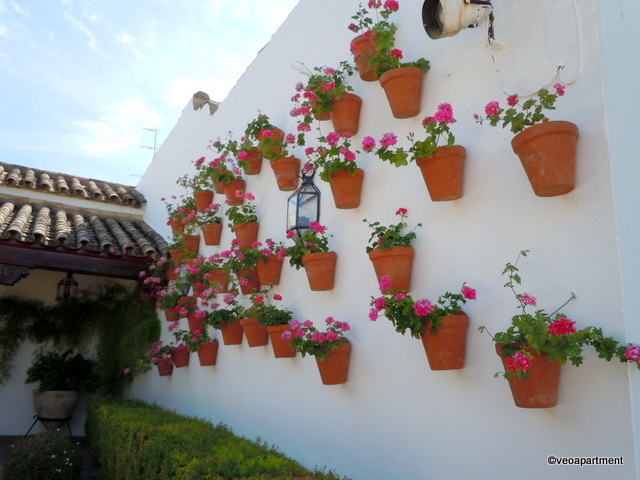 Córdoba is also famous for its flower filled patios, and if you are there in May for the spring festival, these are open to the public. 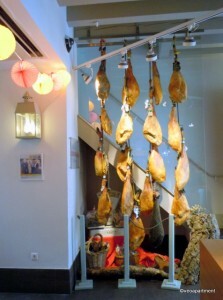 If you miss the festival the newly refurbished “patio museum” Palacio de Viana is a great alternative. 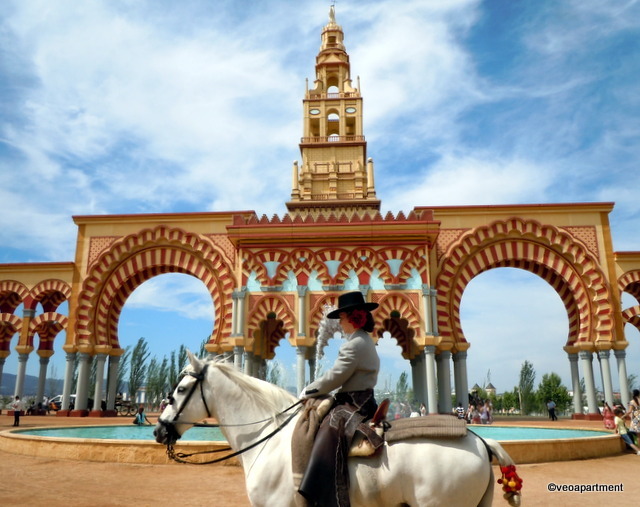 Also in May you can see the Feria de Córdoba which is like a true country fair with large (air conditioned!) marquees set up offering a variety of music and different atmospheres, with plenty of good food and drink. 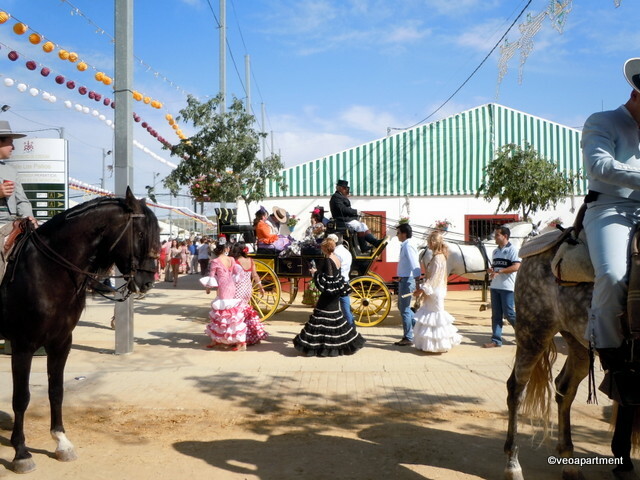 The parade of horses and carriages in the afternoon is one of the highlights. The best way to get to Córdoba from Seville is by train. You can book online on the RENFE website or pick up your tickets at either the Renfe booking office in Calle Zaragoza, or at Santa Justa station. The AVE and AVANT (high speed) trains are the most frequent, but the media distancia trains are the cheapest option at 12.10€ one way. Travel tip: the Sevilla – Córdoba Avant (19.10€ one way) is much better value than the Ave (33.20€) and takes the same amount of time (45 minutes). And if you return on the same day you get a 20% discount. Córdoba doesn’t have the same tapas culture as Seville and so you will find the best food at restaurants. Look for typical Cordobes dishes such as salmorejo (a thick creamy version of gazpacho) and stewed cardo with egg and tumeric. Thank you for your post. 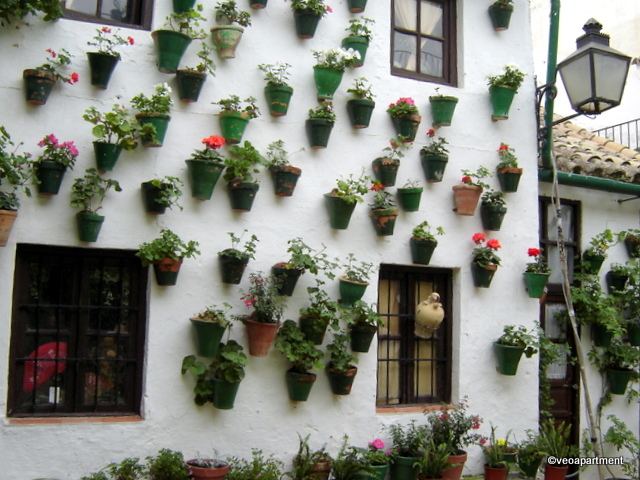 I specially recommen visit Cordoba during the spring, when it most important local parties takes part, la Feria, Los Patios and Las Cruces.